As I sit down in my British Literature and History class, I listen to a lecture about Britain after the Second World War. The professor explains how angry the younger generation was towards theirgovernment because even though they “won” the war, they “lost everything else”. 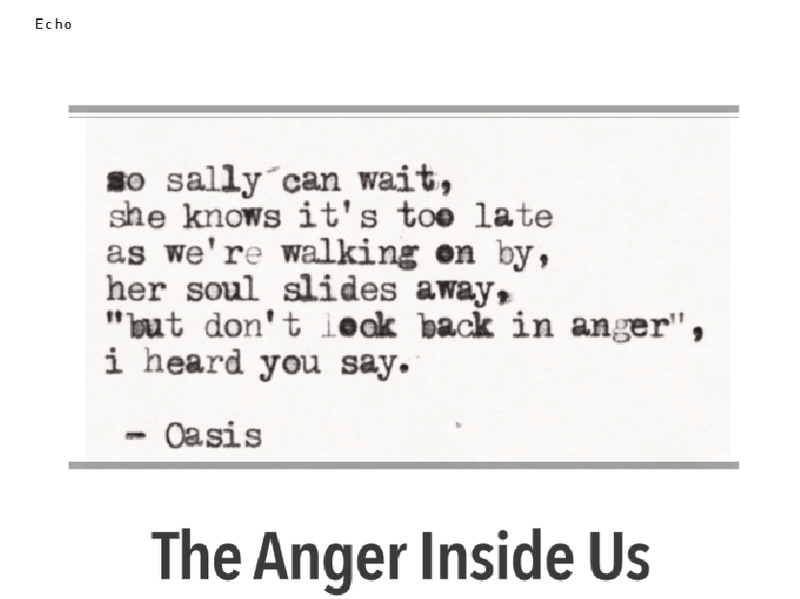 A question then was asked, “Does anger lead to socially meaningful action?” A definite answer did not come to my head, and instead my conscious flited toward Oasis’ song Don’t Look Back in Anger. We were not angry at ourselves.